This year we are excited to be working with Dr Chris Matthews and the ATSIMA team as part of a series of STEM workshops for Indigenous students throughout New South Wales. 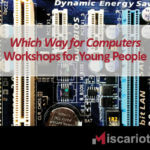 We will be running our new Which Way for Computers workshop where we will work with Indigenous young people to show them how to take old computers and get them up and running again. Starting in business? You don’t need permission. Vernon returned this month from Istanbul where he was part of the 2015 Istanbul Biennial. 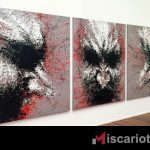 He recently posted on the Biennial in response to Adrian Serle’s article in the Guardian. Why should I pay thousands for a website when I can build one for free? 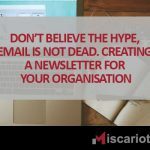 A few years ago, we were all saying how email was dead, long live social! Well I think we’re all eating those words a little. Social, eg. 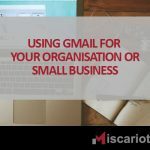 Facebook, Twitter, Instagram etc, is still very important, it’s just that email lists can be just as relevant and for many, an even more marketing and communication tool. 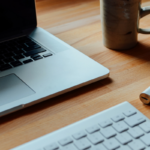 How do I make money from my business website? 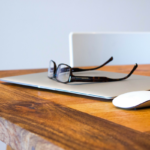 A question I’m often asked by some business owners is how do I make money from my business website? I guess they figure “if I’m going to spend a few thousand dollars on a website then I want it to generate income”. This isn’t a view of relationship between your business and your business’s website that I’d promote, but I thought I’d answer the question anyway. So this week I just made it to my second Lord Mayor’s Business Forum. It was a hectic afternoon as I bounced from one event to the other. Just before I’d attended the Indigenous Accountants Australia first student networking event, representing the South East Queensland Indigenous Chamber of Commerce. It was great to see so many young people having an opportunity to meet up with employers and industry leaders. 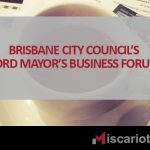 In February this year I attended my first Brisbane City Council’s Lord Mayor’s Business Forum at Albion. This week I’m attending my second. During the February event, I tweeted the good bits, and later Storified it for archiving. I hope to do the same again this week. I’ll be using the #LMBF2015 hashtag again, unless there an official hashtag is created. What’s going on in this Facebook ad? 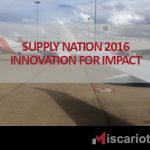 CCIQ marketing is mixing it up. Scrolling through Facebook on a random Friday night and this ad comes up on my screen. Um… okay. What’s going on here? 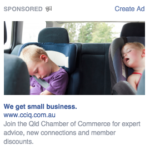 CCIQ of course at the Chamber of Commerce and Industry Queensland, so naturally you’d think a stock image of good-looking business suit types would be featured. It’s been a week since I’ve returned from Melbourne, and I’m still reeling from all the fantastic content we have been given. 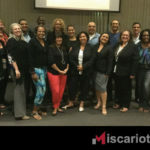 I am so grateful to have been accepted into the fourth class of the Murra Indigenous Business Masterclass at the Melbourne Business School of the University of Melbourne. You may not believe it but Facebook really does try to make sure that your NewsFeed is valuable to you. Facebook takes the clues you give it to mould the Feed to your desires, interests and preferences. 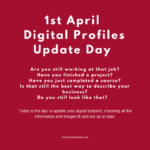 Some of those clues include likes, comments, shares, information, searches. All of these little hints, help the Facebook algorithms understand you and what you want from it. I’m still amazed by the number of small business owners who still think social media is ‘what I had for breakfast’. They see it as a waste of time, silly and frivolous. Or, they think that it takes too much time away from ‘real’ business activities. The newly established Black Rainbow is a foundation to support Indigenous LGBTI Australians. 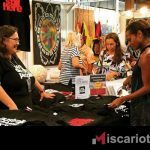 They are the ONLY Indigenous suicide prevention and mental health support source for Indigenous LGBTI Australians. They currently have a crowd-funding campaign running to create a National Leadership Group, attend a workshop at the World Congress of International Assoc for Suicide Prevention later this year, and a whole of other activities, including development and roll out of workshops around the country. This is valuable work that needs to be done. Suicide is a social-justice issue, and it’s an issue that impacts all our families. Can you assist Black Rainbow’s work? Even the smallest contribution would make a difference. 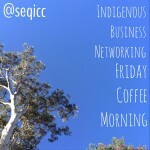 Yesterday morning, I hosted the first Indigenous Business Networking – Friday Coffee Morning for 2015. This initiative was conceived by me and is currently driven by me as a way for the SEQICC to connect with members, and provide a space for them to connect with each other.